Why Aren't Millennials Spending? They're Poorer Than Previous Generations, Fed Says Millennials are less well off than members of earlier generations when they were young. They have lower earnings, fewer assets and less wealth, a new Federal Reserve study says. 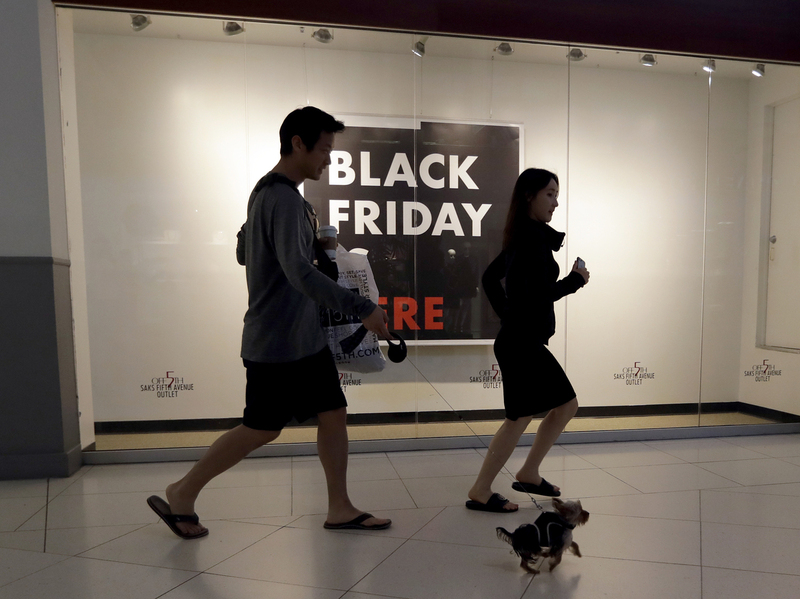 Shoppers walk past a Saks Fifth Avenue outlet store in Miami on Black Friday. Millennials have lower earnings, fewer assets and less wealth, a new Federal Reserve study says. A study published this month by Christopher Kurz, Geng Li and Daniel J. Vine found millennials are less financially well-off than members of earlier generations when they were the same ages, with "lower earnings, fewer assets and less wealth." Their finances were compared with Generation X, baby boomers, the silent generation and the greatest generation. The researchers examined spending, income, debt, net worth and demographic factors among the generations to determine "it primarily is the differences in average age and then differences in average income that explain a large and important portion of the consumption wedge between millennials and other cohorts." Millennials, which the study defined as those born between 1981 and 1997, with ages ranging from 21 to 37, "paid a price" for coming of age during the Great Recession. They had to face historically weak labor demand and unusually tight credit conditions. Dealing with those financial obstacles probably created "attitudes toward saving and spending" that might be "more permanent for millennials than for members of generations that were more established in their careers and lives at that time," the study says. Despite millennials' much maligned, unofficial hipster status, the study indicates they're pretty mainstream. Their spending on motor vehicles — which is sensitive to economic expansion and contraction, and accounts for about 20 percent of retail sales — shows millennial households have similar tastes and preferences to older generations, as does their spending on food and housing. Their consumption habits are similar to their parents' and grandparents' — millennials just have less money to spend. The researchers also examined debt between each generation. While the comparisons were "somewhat mixed," researchers said it "seems fair" to conclude that millennials have levels of debt about the same as Generation X and more debt than baby boomers. The study also noted newer financial obstacles for millennials. Broad economic trends depict a rise in health care expenditures, as well as a rise in college tuition that has outpaced general inflation that previous generations avoided in their young adulthood. And the generation's higher rates of racial diversity, higher educational attainment and lower rates of marriage? Those are all consistent "with secular trends in the population and are therefore not the aberrations of a single generation," the study said. Millennials are still fairly young, so "it remains to be seen whether having reached adulthood during those unfavorable years will have permanent effects on their tastes and preferences," the study says.